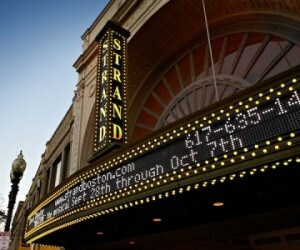 The nation’s longest running entertainment TV program is teaming up with the nation’s longest running entertainment destination, Boston’s own Strand Theatre in Dorchester, MA. 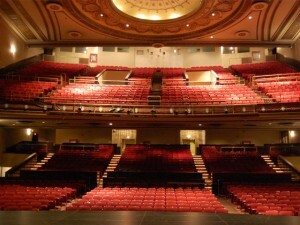 With generous donations from the city of Boston, the restored venue represents the city’s strong commitment to preserving our heritage and supporting arts in the community. RED LINE to Andrew station, then either #16 (Forest Hills) bus or #17 (Field’s Corner) bus to Upham’s Corner/Dudley Street. Get off in front of Payless shoe store. The Strand is up one block on the left, just past Bank of America. ORANGE LINE to Ruggles station, then the #15 (Upham’s Corner) bus via Dudley Station. Get off in front of Payless shoe store. The Strand is up one block on the left, just past Bank of America. ORANGE LINE to Forrest Hills station, then #16 (Forrest Hills) bus to Upham’s Corner. Get off in front of Payless shoe store. The Strand is up one block on the left, just past Bank of America. From SOUTH: Take I-93 North to exit 15, Columbia Road. Left at the bottom of ramp to third set of lights.There is a Kentucky Fried Chicken / Store 24 on the corner. Turn left onto Columbia Road. Go through two sets of lights, the Strand is on the left, just past Bank of America. From NORTH: Take I-93 South to exit 15, Columbia Road. Right at the bottom of ramp to third set of lights. There is a Kentucky Fried Chicken / Store 24 on the corner. Turn left onto Columbia Road. Go through two sets of lights, the Strand is on the left, just past Bank of America. From WEST: Mass Pike (I-90) east into Boston, to I-93 south. Follow “From the NORTH” directions. From Jamaica Plain/ Brookline: Take the JamaicaWay south to the Arborway. Go over the bridge at Forrest Hills to the rotary. Go 3/4 around the rotary and turn into Franklin Park. Go through the park, and turn left onto Blue Hill Avenue. Go about 50 yards, then make a right onto Columbia Road. The Strand is about 1 1/3 miles down on the right, just past the Strand Pharmacy. There is plenty of on street parking on Columbia Road in the evenings. Free off-street parking is available in the Ramsey Street Municipal lot. Ramsey Street is located at the intersection of Dudley Street and Columbia Road behind CVS Pharmacy and Payless Shoes. FREE PARKING is available for evening and Sunday shows in the Citizen’s Bank and Sovereign Bank parking lots. The Citizen’s Bank lot is located at the corner of Columbia Road and Cushing Avenue, next to Bank of America. The Sovereign Bank lot is located in the rear of the bank at 585 Columbia Rd.